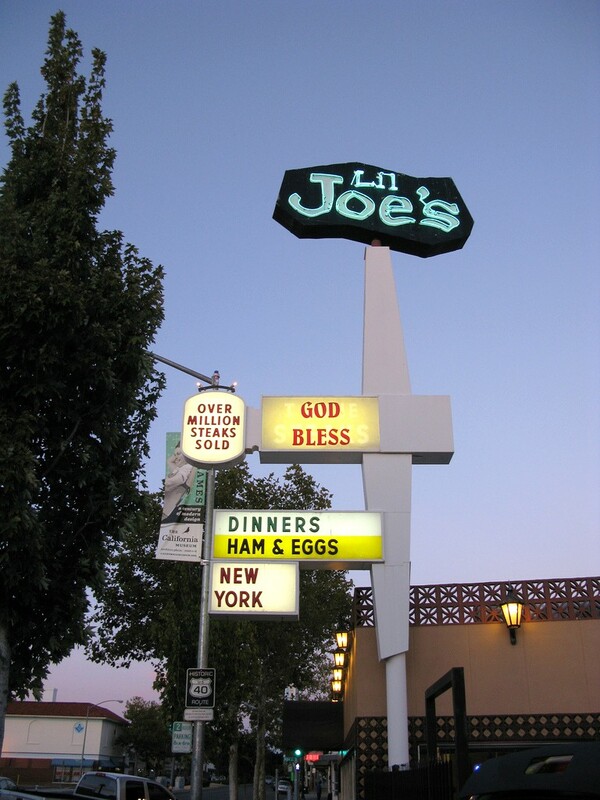 One by one Gretchen Steinberg has watched as they depart, Sacramento’s historic neon signs that once beckoned passersby with scintillating seduction. She’s doing her best to save the neon that remains. She despairs for every historic sign that has been removed. One, which one graced the Yorozu gift shop on Riverside Boulevard, she has helped preserve. The new owner of the shop, who no longer wanted it, offered it to an institution that does – the Center for Sacramento History. Done deal. Except the center didn’t have the money to handle it. So SacMod stepped in, putting up about $2,000 to remove the sign, crate it up properly and haul it to the center, Steinberg says. The center has a great collection of manuscripts and artifacts, including neon, but no museum – yet. Once it does the neon in the collection may finally be seen again by the public. The museum currently puts on exhibits at vaarious spots throughout town. 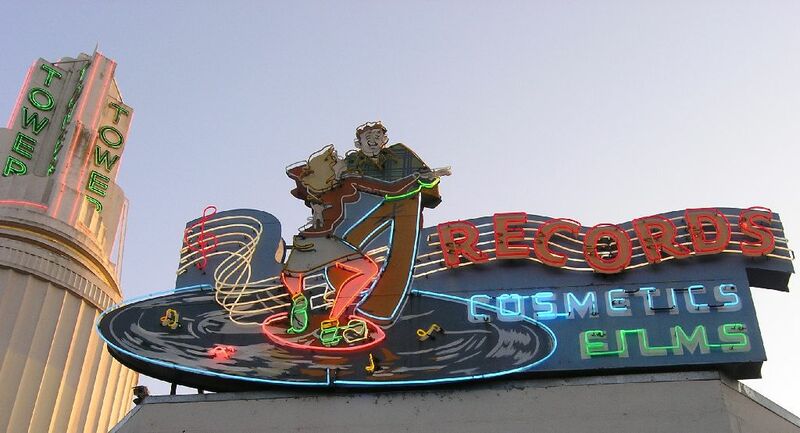 Another neon sign from Sacramento’s past has found a new home – but not in Sacramento. 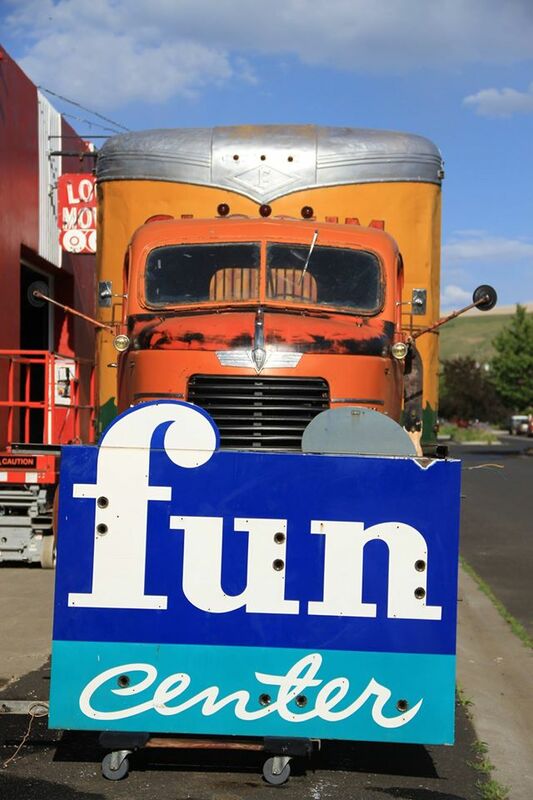 David Webb, one of the world’s greatest collectors of chemically-induced commercial lighting, is adding the Fun Center sign to his Pomeroy City Walk in Pomeroy, Washington, a grand concourse of neon signs from around the globe. “The Fun Center sign is originally from Old Sac,” Webb says. Although Steinberg wants to keep Sacramento’s signs in place so locals can enjoy them, she doesn’t begrudge Pomeroy its new sign. Nationwide, it seems, attention is focusing on neon protection. 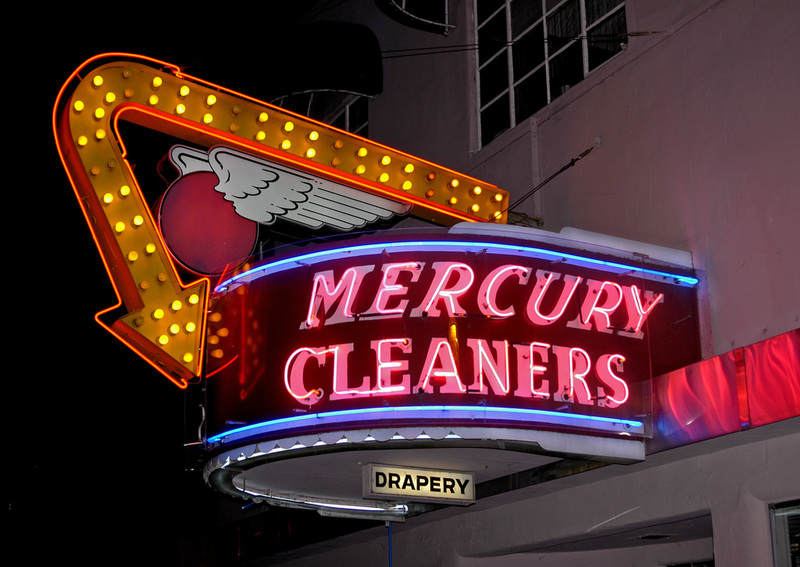 In San Francisco, the group San Francisco Heritage is attending to neon, even running a scavenger hunt to find forgotten neon signs. And a new book on the subject is on the way. In Sacramento, Steinberg notes, only a handful of neon signs are protected as historic resources, sometimes because they are one of a building's “character defining features.” One such protected bit of neon is the “dancing kids” atop the Tower Theater. That’s one of Steinberg’s favorites because it is animated. “We’re working with the city trying to get an ordinance so signs can be considered a historic resource to addition to the buildings,” she says. What is it about neon that gets to her? She notes that come newer businesses in town are adding neon to their exteriors, including the Freeport Bakery.